Hello, nurses! I have a serious question regarding my career path. I currently hold a Bachelor’s Degree in Information Systems. However, I am in the process of going back to school to pursue an Accelerated Master's in Nursing Degree. This is basically a pathway that provides an option for students who have a bachelor's degree or higher in a field other than nursing and are not registered nurses, to pursue a nursing degree. The program consists of 16 months of full-time studies. Students whom have successfully completed the program are eligible to take the National Certification Licensure Exam for RNs (NCLEX-RN). Since I have made this decision to pursue nursing, I have been confused on how I can find employment combining both degrees. What job titles can I pursue? What types of opportunities are available to me after I graduate? 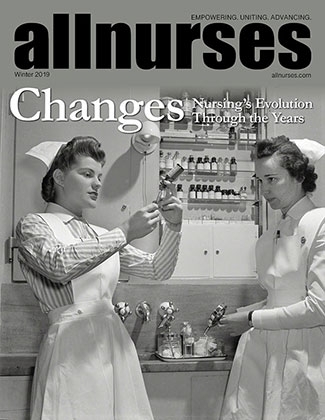 I have spoken to many advisors but I would like to get more insights from nurses. Any advice would be appreciated. Thank you!